Hi, we're back with another Me Moment. Today we'd like to talk to you about Safco's wood, customizable suggestion box. If you got questions, your employees and customers are sure to have answers. Make getting feedback easy with this wood suggestion box. The 8 1/2" clear panel will clearly display any information or instructions you want. Your message can easily be changed, making it perfect for the lobby, reception area, employee lounge, and other high traffic areas in your work space. We use our suggestion box for the question of the day. Whoever gets the question right wins a prize, but you can use it ask questions, capture comments, conduct drives, or give suggestions. The top space is for suggestion cards and two writing utensils, making it easy for everyone to put in their two cents. My suggestion? Wall mount the box to free up your valuable counter space. This has been a Me Moment. Please join us again to find out how Safco can help you work hard and play harder. Easily collect questions, comments, and suggestions in your business by using the Safco customizable wood suggestion box. 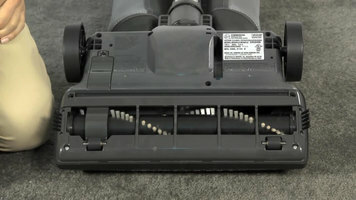 Learn how to replace the belt or brush roll on your Hoover Hush Tone Lite vacuum cleaner when you watch this video. Step-by-step instructions will guide you through the servicing process. 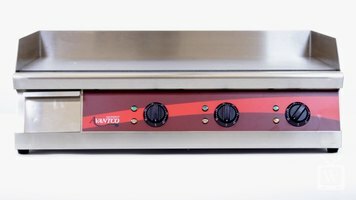 This video describes the features of the Avantco EG30 countertop griddle, an indispensable piece of cooking equipment! Discover if this griddle is right for you, and also learn some tips for proper cleaning. Filtration is another necessary part of preventative maintenance. 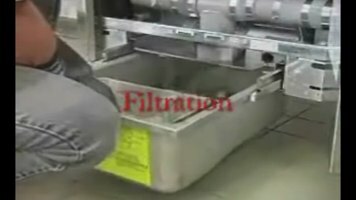 This video will show you the proper way to use the filter system in your Frymaster E4 Series fryer.